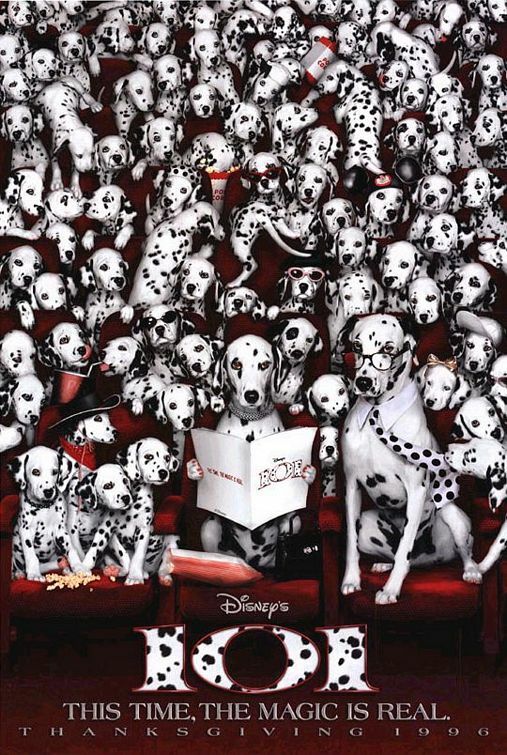 Here's more evil inspiration for this Halloween courtesy of these fabulous Anthony Powell costume creations for Disney's live-action 101 and 102 Dalmatians movies, which starred Glenn Close as the iconic 'Cruella de Vil'. 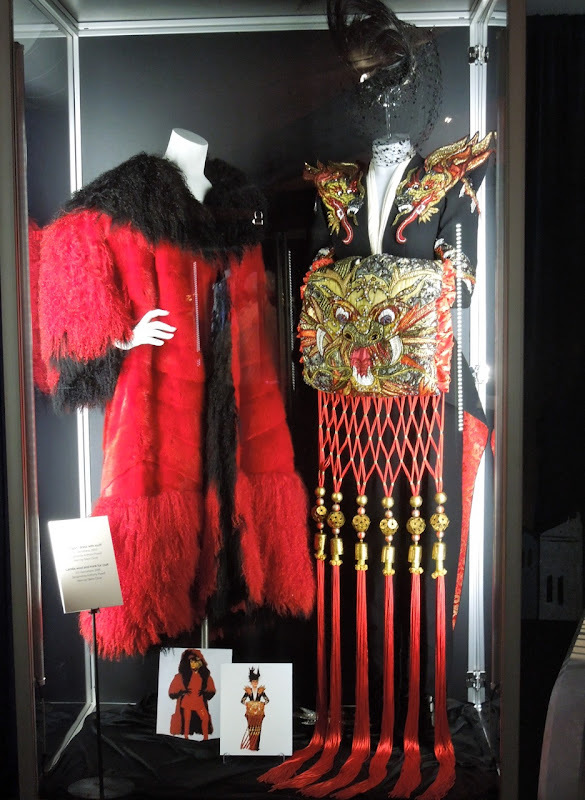 The red and black lambs wool and mink fur coat is from 1996's 101 Dalmatians and the 'Dragon dress' and muff are from the 2000 sequel. 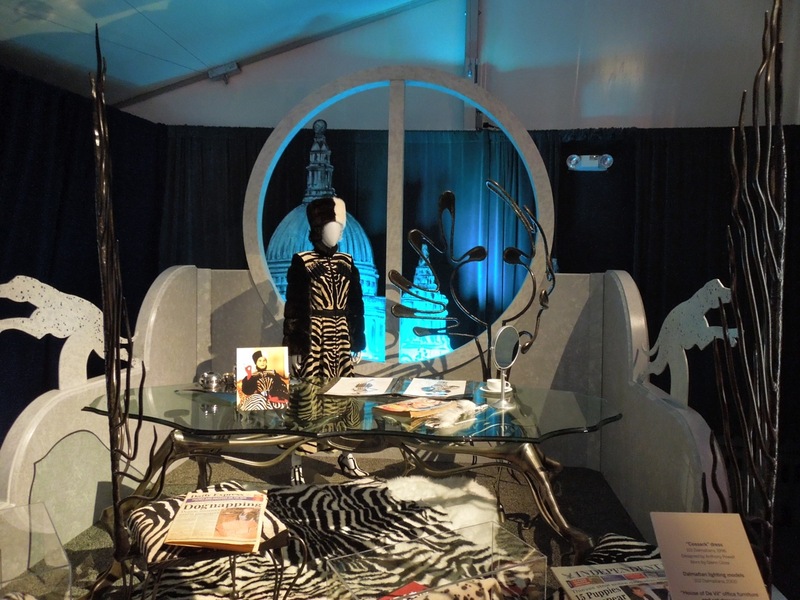 If you like the costume on the right, you can see more close-up detail of the ornate Dragon dress from 102 Dalmatians here at Hollywood Movie Costumes and Props. 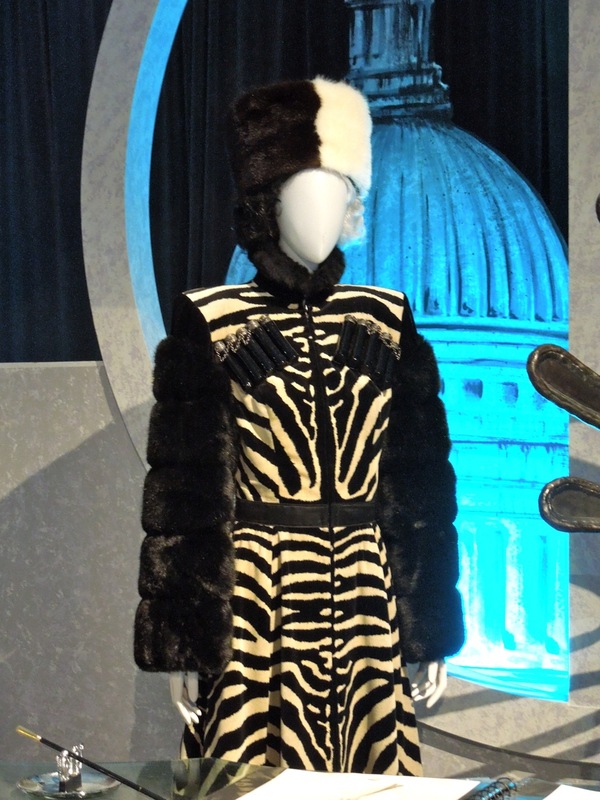 Another extravagant outfit on display at the Treasures of the Walt Disney Archives at The Reagan Library on July 17, 2012, was this cool zebra print Cossack costume. 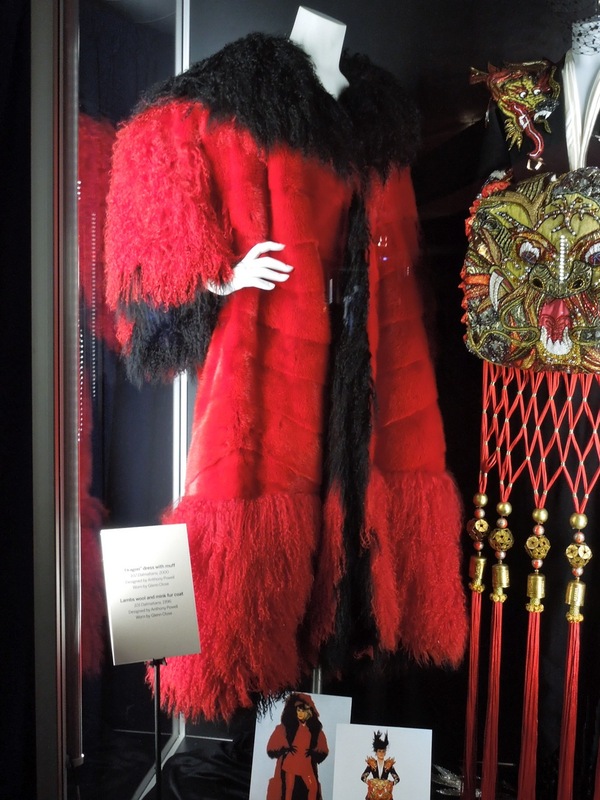 This look worn by the classic fur-loving Disney villain, was exhibited within the House of De Vil room set also featured in the first movie. 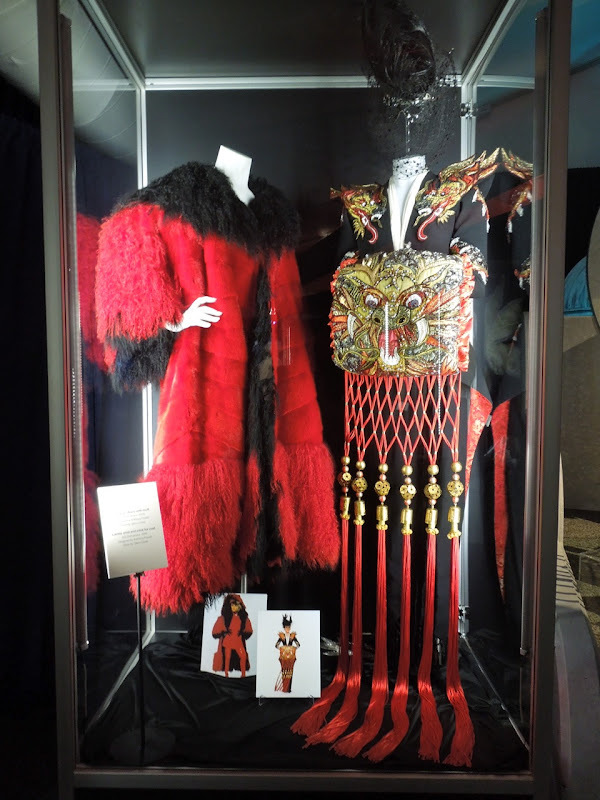 If you like these, be sure to check out the magnificent Cruella de Vil flame dress from 102 Dalmatians which was also part of the exhibit.